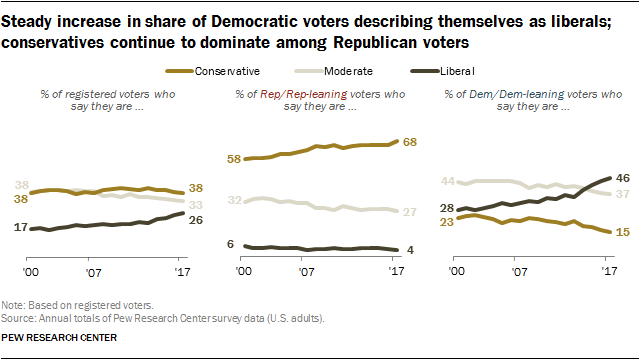 Pew has analyzed party affiliation data from 2017. Democrats are rapidly shifting left. Republicans have long been on the right.